Of course, hiring individuals who have the aptitude to learn our philosophy is the easy part – but hiring talented individuals who hold true appreciation for the words, and live for the chance to transform those words into actions, which bring our philosophy to life, is the special part which results in BIC Homes delivering an enhanced level of customer satisfaction – making us a preferred choice as the El Paso Home Builder of choice versus the competition. New Homes El Paso. 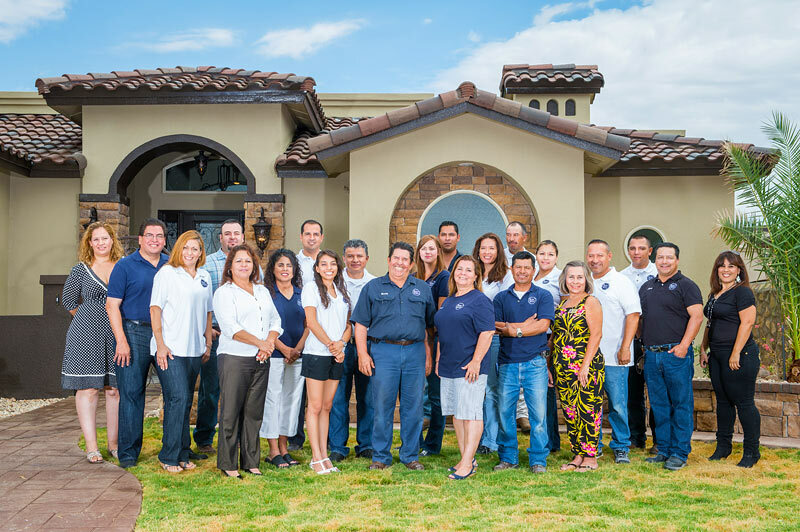 As an El Paso Home Builder, we take pride in our workmanship, which is why BIC could easily stand for “Best in Class” but our slogan “Built to Last” not only defines our homes but the relationships we develop with you, our customer. BIC Homes was featured in the June/July 2014 issue of Spotlight Homes magazine. • Everyone shares success. Work as if you own the company and take pride in what you do. Reap the rewards. • Collaborate, delegate, empower and spread responsibility and authority. Replicate yourself by mentoring someone you trust to be 110% proficient in your job, so you can move up in the organization. Trust each other all the time. • We invest to educate ourselves as we have careers and not just jobs. • We are dynamic and forward looking. • Always evaluate and improve our systems and processes to achieve increasing performance and growth. • Be on time and deliver what you promised or more. As a norm we under promise and over deliver. • Keep interested parties informed as often as possible. Speed of communication is the key to manage crisis. • Deliver ground level market intelligence (observe, ask, listen, feel.) Be quick to listen and slow to speak. • Find out what the customer wants and then give it to them. Knowledge is our best sales tool. • Inspect what you expect with your own eyes whenever possible. • Customer is #1. Sales People are #2. Vendors and Employees are #3. • Set customer expectations correctly and then exceed them. Give the customer more than what it is expected. • Customer loyalty (one step above customer satisfaction) is our ultimate goal. • Deliver and continue to add true value to the relationships, so everyone who deals with BIC is a winner. • Frugal (economical-lead with revenue and not expense), Balanced (prudent and judicious), Objective (realistic), Lean (efficient), Smart (practical), Quick (swift), Modest (humble), Organized, Strong and Flexible (open minded). • Set goals high, persevere and work hard to reach them. • Work diligently and independently focusing on your goals. Plan your work and work your plan.